Many important parts of learning to fly occur outside of a plane. For example, safe pilots understand the physics of how an airplane works, they can identify weather patterns and potential risk indicators, and they can read and utilize flight maps, to name just a few. There's a lot to know, and it takes time and dedication to learn it all – and that's why we have ground school. But forget dry lectures, chalkboards, and the ever-present fear of pop quizzes. This isn't high school. This is ground school! And ground school at About Time Aviation means working at your pace, studying however/wherever you are comfortable, and feeling free to ask questions. 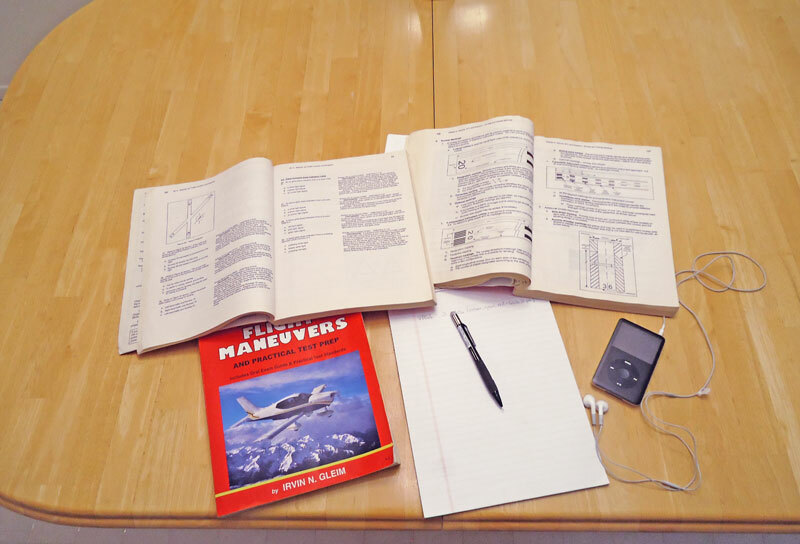 Utilizing the Gleim textbooks and study guides, your instructor will let you know which chapters to read and review before your next flying lesson. This allows you to study when you have the time and inclination, and to formulate questions for topics that require deeper insight and input from your instructor. At your next lesson, before you get back in the plane, your instructor will spend some one-on-one time with you to answer questions and review the parts of your studies that apply to the lesson – making it practical and more memorable. As your lessons progress, ground school will also be the time when your instructor helps you prepare for the written and oral portions of obtaining your pilot license. This method of self-paced study followed by individual attention allows our instructors to discover how you learn best and provide the support you need to successfully reach your goals. And it works! The majority of our students score above 90% on their written exam and go on to be safe, alert pilots.